Ensuring neighborhoods are safe and attractive is a high priority goal for the City. Several programs and activities are in place to address this goal from maintaining the housing stock to helping reoccupy vacant housing with responsible homeowners. With a commitment to neighborhood housing, the city’s ReNew Home Purchase Assistance programs are designed to help you invest in your future by making your home in Brooklyn Center. The City of Brooklyn Center's ReNew Home Purchase program is getting foreclosed, vacant homes re-occupied with responsible, informed homeowners. The program is designed for people who can afford to purchase and maintain a home, along with managing the responsibilities of home ownership. More than half of the funds have already been used by new Brooklyn Center homeowners. 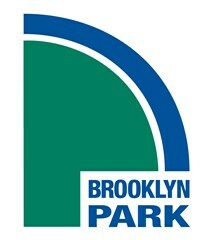 Housing is one of Brooklyn Park’s greatest assets. Maintaining and preserving the housing stock in Brooklyn Park is a priority of the City. The City offers a range of housing programs to meet the needs of homeowners, home buyers, sellers, renters, and landlords.